The EPVMax is Elite Prime Vision®’s new retractable motorized projection screen. Standard features include a detachable keypad switch for UP/STOP/DOWN control, IR and RF remote controls, 5-12v trigger, and a low power consumption motor. 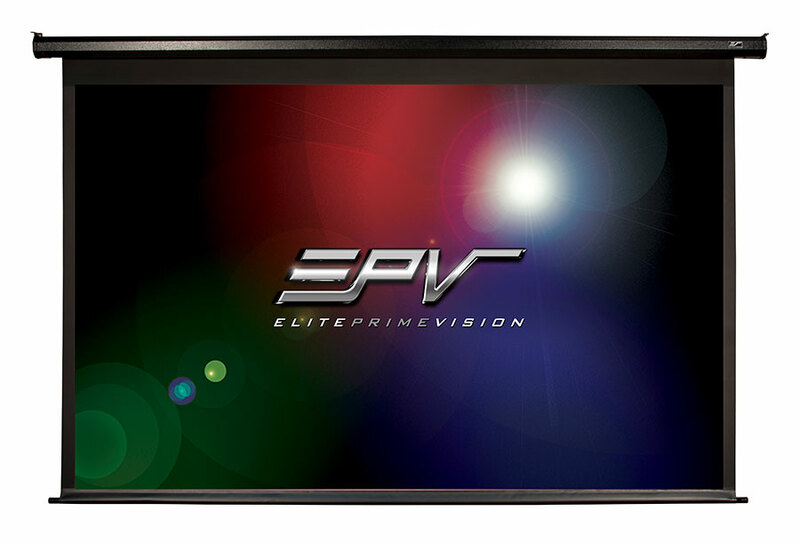 The EPVMax is draped with our matte white fiberglass backed, MaxWhite® FG front projection material. The MaxWhite® FG has a 1.1 Gain and a wide 180 degree viewing angle.